Our whole life is full of gaining and losing of one thing or another. In the loss of all things Paul saw it as great gain when he learned of the knowledge of Christ, for when he found Christ he found the true purpose for his life. (Philippians 3:7-11). But what things were gain to me, those I counted loss for Christ. Yea doubtless, and I count all things but loss for the excellency of the knowledge of Christ Jesus my Lord: for whom I have suffered the loss of all things, and do count them but dung, that I may win Christ, And be found in him, not having mine own righteousness, which is of the law, but that which is through the faith of Christ, the righteousness which is of God by faith: That I may know him, and the power of his resurrection, and the fellowship of his sufferings, being made conformable unto his death; If by any means I might attain unto the resurrection of the dead. 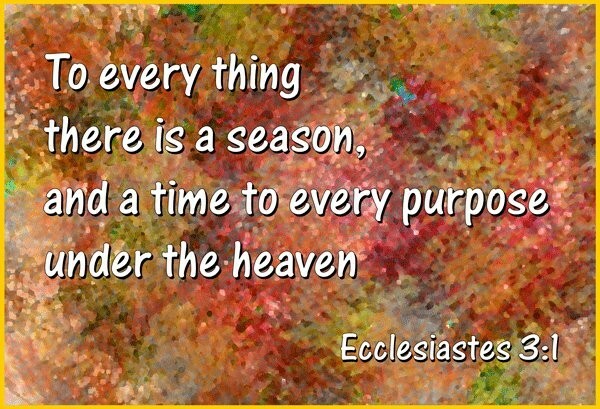 Ecclesesiastes tells us there is a season and a time for every purpose under heaven. There will be times when we have much and at other times we suffer loss, but if we know there is a blessing in both we will fare much better in knowing this as different times when some suffer loss they say “It was a blessing in disguise”. Scripture tells us it is the poor in Spirit that are blessed for they are rich in the knowledge of God. We all are just passing through to a place where moth and rust does not corrupt and heaven is the greatest gain any one of us can ever hope to attain! (Ecclesiastes 3:1,6)…… (Matthew 5:3). We are told to take heed as to how we build, for although dwellings may be destroyed we can be sure the true foundation which is Christ cannot be destroyed and His servants are kept by the undying eternal Spirit within us. (1 Corinthians 3:10-17). According to the grace of God which is given unto me, as a wise masterbuilder, I have laid the foundation, and another buildeth thereon. But let every man take heed how he buildeth thereupon. For other foundation can no man lay than that is laid, which is Jesus Christ. Now if any man build upon this foundation gold, silver, precious stones, wood, hay, stubble; Every man’s work shall be made manifest: for the day shall declare it, because it shall be revealed by fire; and the fire shall try every man’s work of what sort it is. If any man’s work abide which he hath built thereupon, he shall receive a reward. If any man’s work shall be burned, he shall suffer loss: but he himself shall be saved; yet so as by fire. Know ye not that ye are the temple of God, and that the Spirit of God dwelleth in you? If any man defile the temple of God, him shall God destroy; for the temple of God is holy, which temple ye are.